Event Date The horse was built in the Precincts in October 2018 and will be in place until 6 January 2019. Location: The installation will be on display in the Precincts daily. 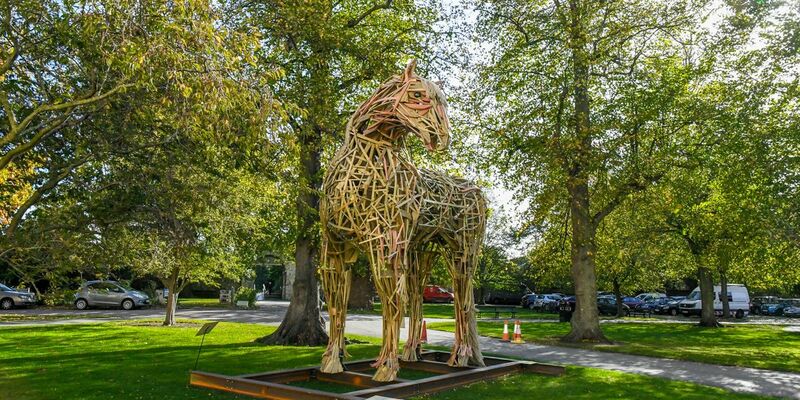 To commemorate the centenary of the end of The First World War, students and staff from Canterbury School of Visual Arts at Canterbury College, led by Sculptor Clive Soord, have created a large-scale wooden horse for the Cathedral Precincts. The Canterbury War Horse’s head is bowed in respect, facing oncoming visitors to the cathedral. This installation is included in the Cathedral’s programme of events to commemorate the 100th anniversary of the end of the First World War. Click here to view the full programme.